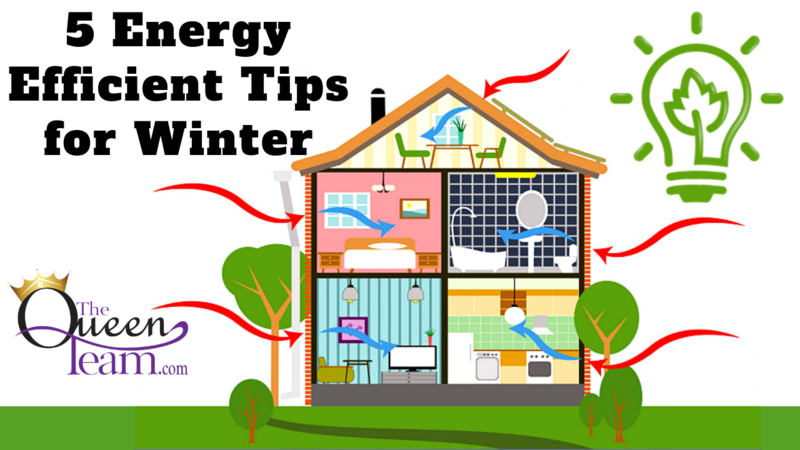 Today, I have five tips to help your home be more energy efficient this winter. 1. Use earth’s natural heater—the sun. In the summer, it’s all about drawing the blinds and curtains to keep the sun out. In the cooler months, you can use the power of the sun to warm your home and keep heating costs down. Open curtains in any south windows to allow sunlight to naturally heat your home, and close them at night to reduce the chill you may feel from cold windows. 2. Insulate the windows. Light, gauzy curtains may look great but they can make your home colder and waste energy, especially if the window does not receive direct sunlight. If you’ve addressed all the leaks around the windows and the room is still cold, insulated drapes should help. Schedule a checkup for your heating and cooling systems. 3. Check your heating system. Dirt and neglect are the top causes of heating system failures. Now is a good time to schedule a checkup with a licensed contractor. It’s also important to regularly check and change the air filters. 4. Turn down the thermostat. By turning the heat down 10 or 15 degrees while you are asleep or out of the house, you can save about 10% each year. Use programmable thermostats or thermostats that connect to a mobile app to adjust the temperature when everyone is out of the house. 5. Don’t heat unused spaces. If you’re not using certain rooms all the time, close the vents and shut the doors. It’s more efficient for your heating system to push air only to the space where you need it.